Every now and then it is important to state the blindingly obvious lest it not be appreciated, so we’ll get this out of the way as quickly as possible: Ljubljana, the capital of Slovenia, is tiny. With around 275,000 inhabitants, this surprising little city is a similar size to Strasbourg, Sunderland or Münster, and would rank as the 15th largest city in the United Kingdom if it lay there. Even so, one of the oldest clichés the world has ever known is that good things come in small packages, and calling Ljubljana a ‘good thing’ is doing it a disservice. This place is vibrant, it is lively, and it is both bubbling with activities and delightfully slow-paced at the same time. Best of all it is objectively (yes, objectively) one of the most beautiful capital cities on the European continent. 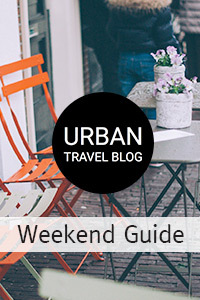 Petite and pretty… that’s Ljubljana! Ljubljana also comes with two thousand years of history (belying Slovenia’s relative youth as an independent country – it finally gained independence in 1991). 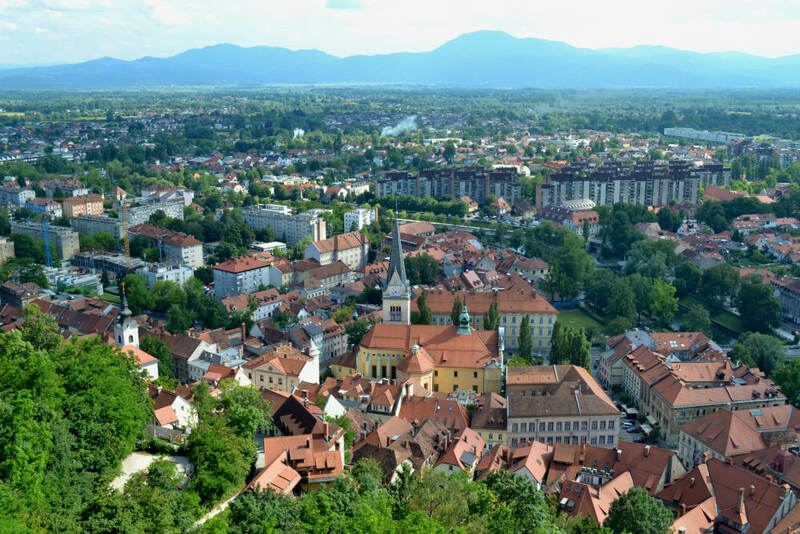 During the past two millennia Ljubljana has been under the control of – in no particular order – the Romans, the Hapsburgs, the Huns and the communist Yugoslavs. Indeed, Ljubljana (and Slovenia as a whole) often gets lumped into itineraries focusing on the former-Yugoslavia, but Slovenia’s 70 years of Yugoslav history is dwarfed by the 640 spent under Hapsburg rule. Make no mistake; Ljubljana is more Vienna than Varaždin, more Salzburg than Sarajevo, the Germanic world with a Slavic twist. 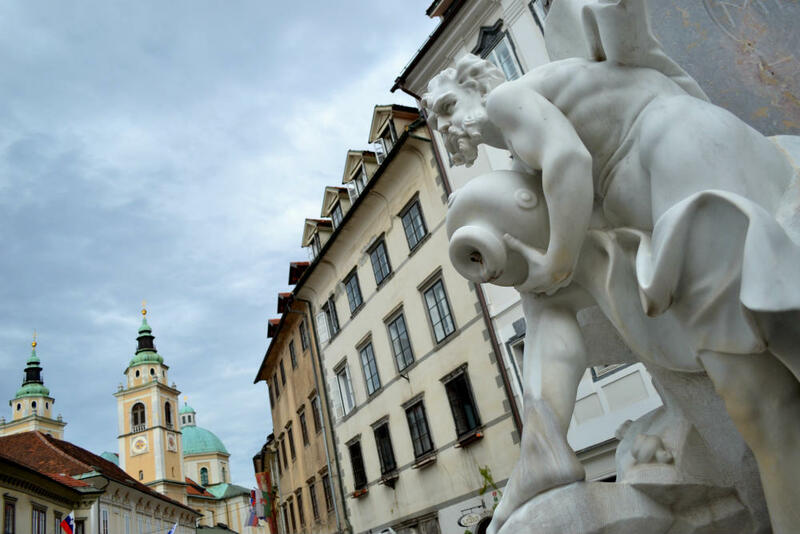 Despite its relative ‘undiscovered’ status, Ljubljana has a host of sights and attractions which combined make up an enviable tourist trail of ‘must-see’ spots. Ljubljana Castle is impossible to avoid, sitting dramatically over the town and visible from any and all spots in the city centre. An earthquake damaged the castle in the 16th century and as such its current look dates from that period, but the panoramic views one finds more than make up for any loss of historic interest. Further out and Ljubljana’s lungs can be found in the vast, sprawling Tivoli Park, home to the eponymous mansion, photo exhibitions and numerous groups of young yoga teams. At both the castle and the park you’ll find branches of the city’s charming Libraries Under The Treetops (as reported on by Urban Travel Blog). One of Ljubljana’s most striking elements is the gracefulness of its architecture, a fact all the more impressive when one learns that it is mostly the work of one man. That chap was Jože Plečnik, and a whole host of Ljubljana’s most photogenic spots were conjured up from the imagination of this moustachioed genius. Plečnik didn’t design the city’s most iconic bridge however. Zmajski Most (Dragon Bridge) is adorned with four fairly intimidating dragons, and regardless of the time of the day you’re sure to see a number of folk posing for photos next to the beasts (or even on top of them, although we don’t really recommend that). As with many central European towns, Ljubljana’s old town is a myriad of narrow streets and elegant squares that demand strolling through and around. It is here that Ljubljana’s lack of size comes to the fore as before too long the need to explore dwindles and one inevitably finds oneself at a riverside bar slipping into the city’s idle rhythms. Ljubljana is probably unique when it comes to its alternative spots, as the undoubted alternative mecca in the city also happens to be its most popular hang out, all the while maintaining its low-key, under-the-radar status. Unsure how this is possible? Get to Metelkova and find out. A city within a city. 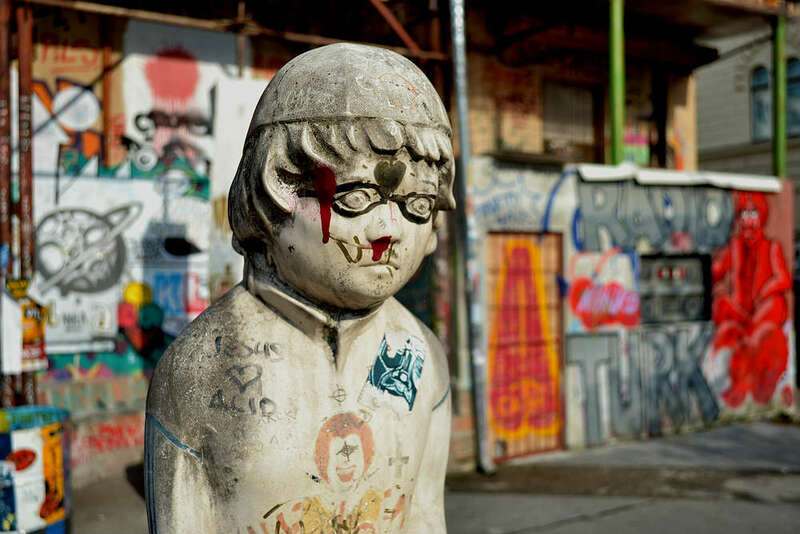 Metelkova is located on the site of former Yugoslav army barracks, and was in danger of being demolished when independence arrived in 1991. A community of artists/squatters made sure this didn’t happen, and now it is a sprawling complex of bars, clubs, galleries, museums, climbing frames and graffiti, replete with some ‘alternative’ toilets that are little more than a wall to piss against. Ironically for one of the most successful spots in the city it is named after 19th century Catholic chap Franc Metelko, who attempted to reform the Slovene alphabet but ultimately failed. To get a real taste of what happens during a night at Metelkovo check out our first hand report! You won’t find a more pedestrian-friendly capital city centre than this one, but for those who aren’t too fond of strolling a host of other ways to see Ljubljana are available. The Ljubljanica River (one of seven names for this languid waterway) lazes through the centre of town, and a variety of boat tours are available. We’re a little more intrepid than that of course, so we decided to experience the river via stand-up paddling, which is exactly what the name suggests it would be. Bananaway are the company behind this innovative sightseeing initiative. Ljubljana also has a fine selection of food tours on offer, none better than the delightful Ljubljananjam. You won’t find many more proud and passionate people than the delightful Iva (who runs the tours and company on her lonesome), and the only negative I can muster is that it might ruin future food tours for you. 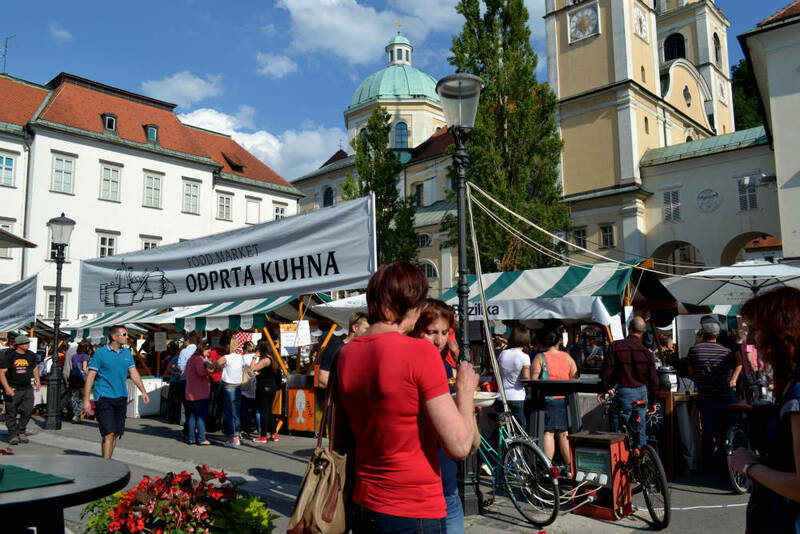 The food theme continues with Odprta Kuhna (Open Kitchen), a weekly event that takes place every Friday between March and October and sees the finest restaurants in the country descend upon Pogačarjev square in a social-gastronomic extravaganza. As Slovenia’s cultural centre, not a month goes by without a citywide event taking over Ljubljana, with everything from jazz to street theatre to design being covered. The Ana Desetnica street theatre festival is arguably Ljubljana’s finest, although the two major wine routes (June and November) that sneak through town might have something to say about that. Befitting a modern European capital city, Ljubljana has accommodation options to suit everyone, whether you are looking for a five-star business suite or a cheap-as-chips bunk in a hostel dorm. For those looking to splash out one building stands out, particularly in the evening. Some 60m high, the Plaza Hotel building in BTC City (Ljubljana’s shopping world) is the architectural equivalent of Marmite, with most either completely enamoured or disgusted by it. Ljubljana is a down-to-earth city at heart though, and as such a number of fine hostels and apartments are also available. Hostel Celica is situated in Metelkova and gets many of the plaudits, but H2ostel is more central and comes with some of the friendliest staff in the city. On the apartment side of things, Kollmann or Old Town are the stand outs. We’ve briefly touched on Ljubljana’s gastronomy scene, and over the last couple of years real initiative has been shown in marketing and advertising Slovenia’s varied cuisine. Ljubljana is also home to a vast number of socially responsible businesses, and two of my favourite restaurants in the city fall into this bracket. 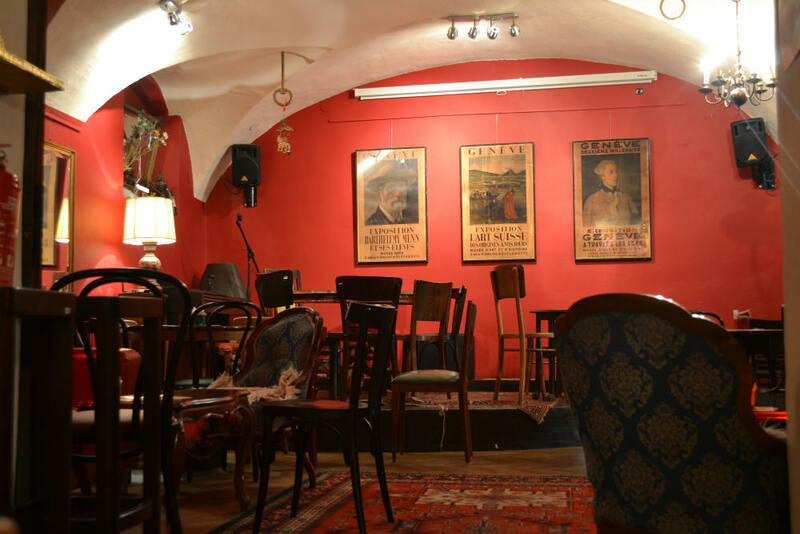 Gostilna Dela combines excellent and varied food with a completely recycled interior and a socially-aware employment criteria, whereas Druga violina offers traditional Slovenian dishes served by staff with various disabilities. Finally, whilst not local or traditional in any way, Skuhna is one of the most unique food stops in the city, focusing on migrant cuisine cooked by people from all over the world who have found themselves in Slovenia. Whilst Metelkova and Tovarna Rog might party late into the night, the simple fact is that Ljubljana on the whole isn’t a raucous nightlife capital. The city centre has a huge amount of excellent bars and cafes along the river, but you won’t see much more in the evening here than people enjoying some drinks and a nice chat. Pritličje is something of an anomaly here, next door to the town hall and with live music and DJs seemingly every night of the week. On the drinking side of things Slovenia (much like the rest of Europe) is experiencing a craft beer revolution, and some cool local spots to sip a pint are Tozd, Prulcek and Daktari. Look out for Human Fish, Pelicon and Mali Grad brews in particular. Ljubljana is as central Europe as it gets, and as such it is remarkably easy to get to regardless of your mode of transport. Numerous low cost airlines fly to the city’s Jože Pučnik airport (including WizzAir and Easy Jet) with Adria Airways acting as the national carrier. Ljubljana’s train and bus stations are centrally located and opposite each other, with daily links to neighbouring capitals such as Belgrade, Zagreb and Vienna, as well as quick links to Venice, Munich and more. One private company that offers cheap shared transfers from all of the above airports is Go Opti. Once you’re in Lublana (as the locals refer to it) your feet will be all you need to get around. The city’s official tourist site is Visit Ljubljana and has a lot to offer, with everything from events to stories to quick trips around the capital. The In Your Pocket brand is particularly strong in the city, and you’ll struggle to find a more complete resource. The city of Ljubljana website is useful for those looking for more formal information. For an attractive and fun guide with tips by six professional travel bloggers head to The Travel Mob. 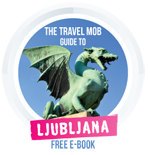 Due to its small size, there isn’t a huge amount of print focused on the city, with the Ljubljana In Your Pocket guide still the best bet in town. The same team recently produced books for Ljubljana and Slovenia as a whole too. Lonely Planet and Rough Guides have produced decent guides for Slovenia in the past. During the Yugoslav years Slovenian cinema took a back seat to more internationally admired work from Serbia and Bosnia, but in the years since independence it has seen something of a rebirth. The art of film-making in Slovenia is over a century old however, with Kekec! (1951), Kajmak in Marmelada (2003) and Kruh in Mleko (2001) among the nation’s finest work. We selected Ljubljana as one of our recommended budget breaks abroad, and as one of Europe’s most romantic cities. For even more stories and tips on the Slovenian capital head here. Ljubljana is OK, I love that town. I love Ljubljana because it is peaceful quiet place for rest and spend a nice holiday. But you have to know, if you want a crazy and laud fun you have to find another place. Ljubljana is for older fox, for youth it can be a little boring. John's three great passions are making lists, eating crisps and travelling in the Balkans. Currently in Belgrade, via Ljubljana and Mostar, it's in the latter capacity that he contributes to UTB. More on John here.